Dr Mackintosh is primarily interested in children’s physical activity and health, and in particular, school-based interventions. 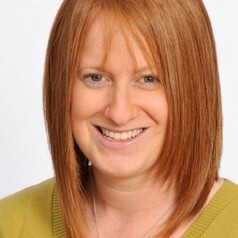 Within this area her work focuses on physical activity measurement and the role of behaviour change in developing physically active young people. Previous intervention work has involved the Children’s Health, Activity, and Nutrition: Get Educated! (CHANGE!) Project, which was a formative intervention based in Wigan to improve primary school children’s well-being through enhanced physical activity and eating behaviours. Other recent work includes an after-school club intervention combining active video games and multi-skills among low active and low fit high school children, as well as the development of a high-intensity military-ethos intervention. Working in close partnership with computer scientists and engineers has allowed the development of ubiquitous social goal sharing technology to enhance physical activity levels, in projects such as ‘Mission Possible’. Much work has now focussed on clinical populations, including strong links with the physiotherapists and consultants within Cystic Fibrosis clinics, and Asthma UK.